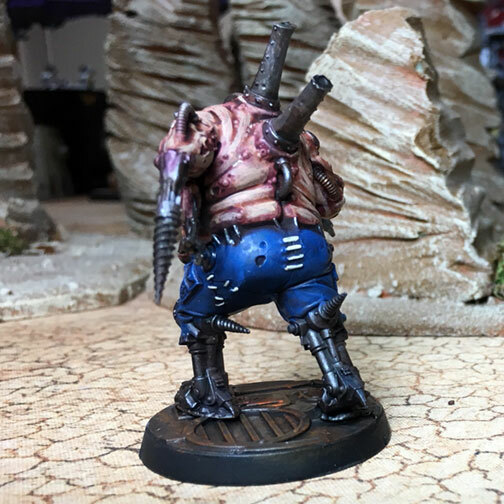 Warhammer 40,000 – Nurgle has never been my jam. 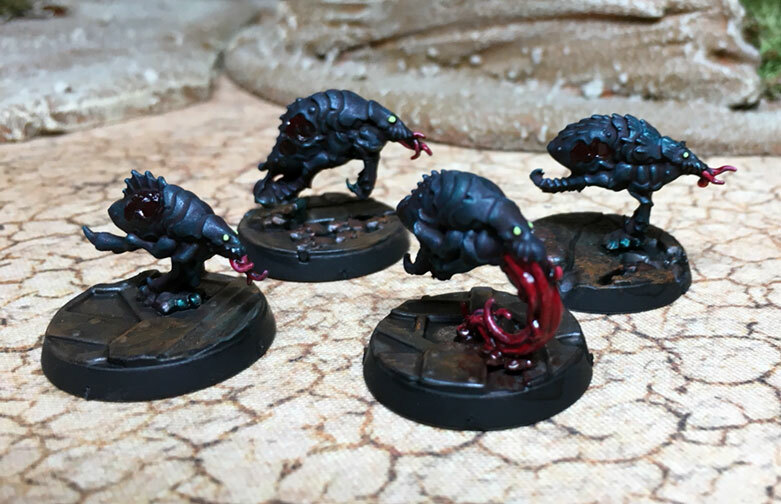 The models are always really amazing looking but the slow-grindy playstyle and general idea of embracing decay and despair never push-ed any of my buttons. 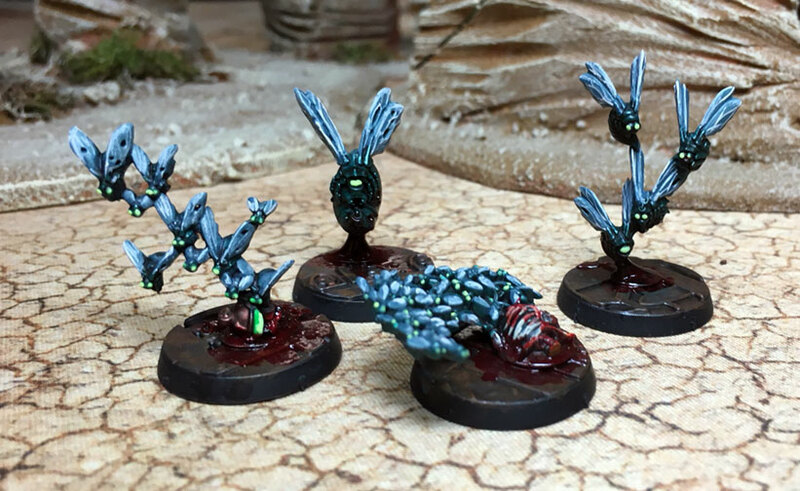 However since the boxed set and narrative campaign included both the Star-Striders and the Infected I felt like I should paint these guys up to match my other chaos forces. Upon looking at the 40k rules it seems like these creepy crewmen might be a good add to my Night Lords force, but giving up a proper warlord to get access to their 3CP and special Stratagems seems like a steep price to pay. I don’t like the typically rotting green colors scheme you seem on most Nurgle stuff. It feels very comical and not quite as terrifying as I feel it should be so I opted to go with a swollen, irritated fleshtone with bloody gore. I think the effect works and it helps them fit in with the rest of my Night Lords.